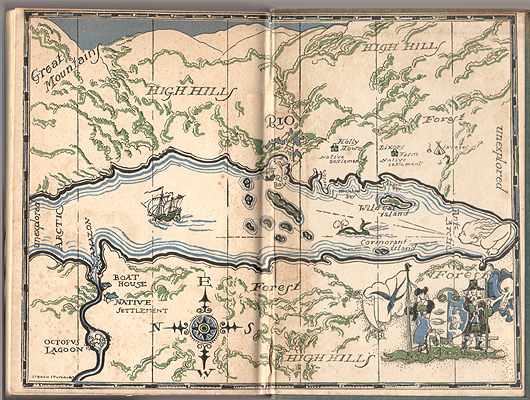 Books Anonymous: Swallows and Amazons forever! I have not had the week that was planned - which was to be compiling and editing copy for the work magazine to get it off to my graphic designer to assemble for final proofing next week. Instead, I've been languishing in bed with a very nasty flu virus, complicated by a number of secondary infections, and further complicated by a reaction to the antibiotics, so I have had to stop taking them and recovery is going frustratingly slowly. The first few days are a bit blurry. The virus came with the headache from hell, so there was very little reading. As I surfaced a bit, I reached for something comforting and simple, and have been working my way through Arthur Ransome's Swallows and Amazons books in a very disorganised fashion, having picked up Swallowdale first. I followed that with Peter Duck, then Pigeon Post and have just now finished Winter Holiday. These are among the creme de la creme of children's classics. If you haven't ever read them, you've missed out on a rare treasure. Those of a certain generation may well find them echoes of their own childhoods - they certainly are for me. I did grow up messing about in boats once we moved to the country, living on a gulf where everyone sailed. But even before that, as a hybrid city/country child - my godmother owned a small acreage - we built rafts, that mostly sank, to navigate our way across the house dam. 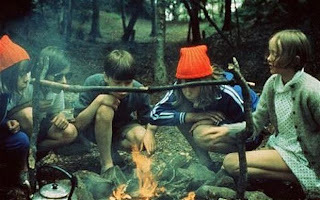 We had camps in the patch of rough bush in the bottom paddock where we cooked sausages to a burned crisp over smokey fires, and generally ran wild with minimal parental supervision. Later, in that small country town, we all had bikes and on weekends and holidays they took us everywhere and, again, we were out and about til all hours, getting up to goodness knows what. We built camps on the beaches in amongst the salt bush, tunneled into the bigger salt bushes to make cubby houses, waged wars against each other, and generally had similarly independent and adventurous times as Ramsome's crew of would be pirates and sailors. The books begin with four children coming to the Lakes District in Britain with their mother and baby sister for the summer to stay at a local farm on the shores of a lake. They are given permission to sail the farm's dinghy, the Swallow, and on an early venture out into the lake, discover and land on a small island. They are surprised by two pirates, Nancy and Peggy, local children and captain and mate of the Amazon. After an initial territorial skirmish, they join forces and get permission to camp on the island for the holiday, and so begin the adventures. Nancy and Peggy are independent misses, and much less inclined to think of consequences, which leads to scrapes and some more hair-raising adventures than are comfortable for the Swallows, particularly Mate Susan, who is a young lady with a serious sense of responsibility. The addition of Captain Flint - uncle to the Amazons - who lives aboard his houseboat, gives rise to further mischief when he refuses initially to join in with their escapades as he is trying to write his book. Many adventures later, his book has been rescued in the dead of night by the Swallows, and he has be brought to realise that his proper place is in the middle of the general activity and goodwill is restored. 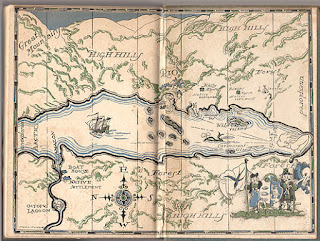 The books continue on in similar fashion with adventures on land, when for various reasons they can't sail, or are away from the Lakes altogether. They are true gems, and for sickbed reading, absolutely ideal!! There is also a lovely movie that I stumbled across once and have as a fairly low quality recording - which must be rectified. It is one of those rare times when the book comes to life exactly as imagined - the children have been wonderfully cast and it offers a couple of hours of pure escapism. Very few of our children these days have holidays like these and I think we've lost something very important. Take away their ipods, mobile phones, computers and play stations, and too many of them no longer have the slightest idea of how to entertain themselves. We don't necessarily have lakes at our doorsteps, and the world has changed, but there's a lesson to be learned from these lovely books about what kids can do when provided with a certain amount of freedom to make their own fun. There is a lot to be said for being left to your own devices as a kid,I grew up up with scrapes, bites, broken bones and assorted injuries all enjoyably earned running wild on granparents farm and no permanent harm was done. I lived in my immagination. Now kids are scheduled and supervised every minute of the day and I can understand the desire to keep kids safe but they have lost a great deal in doing that. Absolutely. While I was hunting for images of the film, I found an article from a British newspaper anticipating school holidays, written by a working mother who said she was planning to allow her children to be 'bored' by NOT scheduling a whole pile of activities for them as she'd done in the past. Fascinating reading... I wonder if she got pilloried, as did that New York writer who copped it when she wrote about the freedoms and independence she allowed her children growing up in NYC. Like you, I get the desire to keep our kids safe, but there's a fine line between doing that and over-protecting them to the point that we don't allow them to make the mistakes that allow them to learn how to safely be independent and look after themselves. Hi, Kaz! Thanks for posting about these books. I haven't been reading contemporary fiction lately (for adults, YA, and children), so these books would make for perfect reads. I just have to do a book hunt! Well, that's a happy problem! Your post reminds me of the conversation I had with a couple of friends about children and gadgets. Here in Manila, it's not uncommon to see children busy with their gadgets while they're out with their family having dinner. It's so weird to see -- everyone not talking, just playing with their tablets or iphones. If I were their father, I'd come up with a rule of not allowing these gadgets on the table. They should to each other, for crying out loud! Oh, by the way, I'll definitely take you up on your offer regarding the Italian thing. I keep thinking that I'll need all the help that I can get! These are old...you'll have to go secondhand hunting, probably - what a terribly unhappy problem for you!! All of mine, bar Pigeon Post, are old harcovers - and the end papers are maps of the adventures contained within each book - great fun. I know what you mean - everywhere I look, I see kids disengaged from everything around them, plugged into iphones, ipods, nintendos, and the like. As a very basic question, I'd like to know how this generation of kids is going to learn how to interact socially - are we looking at the potential death of the dinner party sometime in the future? I'm such a dionosaur! But I do think that aqll this technology is coming at a very heavy price.